Can Traditional Chinese Medicine Help with Our Mental Health? You are at:Home»Magazine»Holistic Healing: Can Traditional Chinese Medicine Help with Our Mental Health? Traditional Chinese medicine (TCM) can be a point of contention between foreigners living in China. While some point to the lack of scientific evidence for its effectiveness, many others describe how it’s helped them personally. In Beijing, these ancient healing practices can be found everywhere, including at both local and international hospitals. But does TCM have the ability to help with, or even cure, mental health issues? TCM has a history of over 3,000 years and is known for its unique system of diagnosing and curing illnesses. The approach of TCM is extremely complex, but essentially is based on the yin-yang theory. Treatment and diagnoses are not based on symptoms; different issues might have similar treatments, and the same symptoms can be treated differently. It should be noted that TCM can be used as a complement to other treatments and Western medicine, and we don’t recommend, at least for serious cases, that this should be the only source of medical help that you seek out, including for people who have been experiencing mental health issues. We visited Shelly Ochs, an American TCM doctor located in Beijing. Ochs is well known in the expat community and comes highly recommended. It helps that she speaks English and understands the struggle of being part of an international community. Ochs has firsthand experience with mental health issues and explains that even before an official diagnosis it can be beneficial to have a TCM session. This session can give the patient enough energy to seek help, be it at the hospital or through other mental health caregivers. How does TCM tie in with mental health and Chinese culture, people might wonder? Ochs explains that in the olden days, disturbing dreams or emotions were seen as imbalances. A treatment with TCM focuses on these imbalances in your body and mind. So people with mental breakdowns would see TCM doctors for acupuncture or herbal remedies, and feel much better after. Ochs does emphasize that China is in real need of more mental health resources. TCM, according to Ochs, has been known to work really well for mild mental health issues, and transitional phases like moving overseas. For severe cases, TCM can complement what’s being done by your doctor, and even help wean people off their medication when the time comes. 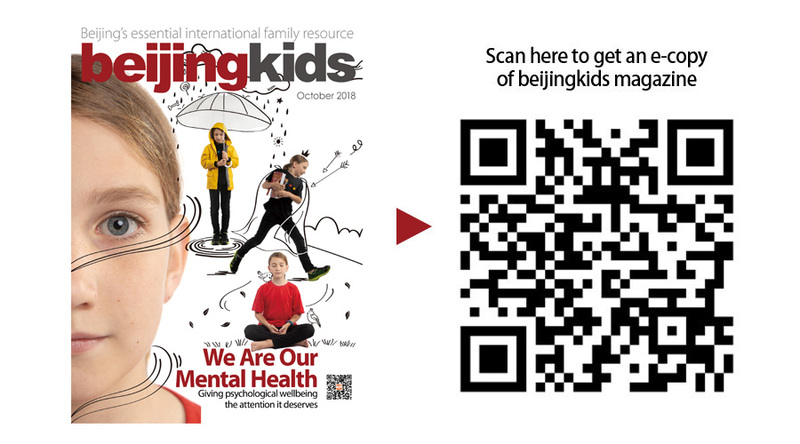 The world is still dealing with very negative stigmas about mental health, and though it is a major issue here, this is not only a problem in China. We still might not be able to view mental health like we might a broken arm, but it is nonetheless a very real illness which requires the right, qualified help. Self-care is also important to exist in a peaceful and happy way. There is no right or wrong answer to finding a solution to your personal mental health issues. After all, each person is different, and their individual needs require different solutions to make sure the patient can feel their best. While in Beijing, why not find out whether this ancient approach to medicine can benefit you?